To celebrate three glorious Sundays of Sherlock, I’m bringing you a British/Sherlock inspired recipe each week, and first up are some mini pasties! Perfect party food, pasties were originally created to be eaten on the go. Wives would make some delicious beefy goodness for their hard working husbands, wrap it up in a pastry and bake it. Originally, the pastry was meant to keep the meat inside clean and germ free, since your general handy man or farmer can’t really wash his hands on his lunch break like we can now. You didn’t eat the pastry, just bit into it, and then ate the meat from the inside. Clever, right? And I know it’s true because a certified British person told me. That’s even better than Wikipedia. But I love pastry, so thank goodness things have changed and we just eat the whole darn thing now. Plus they are adorable, and easy so if you find yourself hosting a last minute Sherlock party, these are life savers. 1. Preheat your oven to 350 degrees. In a large skillet, heat oil over medium-high heat. Add beef; season with 1/2 teaspoon salt. Cook 3 to 5 minutes until browned, stirring frequently to break up beef. Add onions and carrot; cook 3 to 5 minutes or until softened. Stir in peas, thyme and garlic; cook 1 minute. 2. Reduce heat to medium-low. Stir in tomato paste. Add flour; cook and stir 1 minute. Add the whiskey and the beef broth; cook and stir 1 minute or until the liquids thicken. Stir in the sugar. Season to taste with additional salt. Remove from heat; cool 10 minutes. 3. Meanwhile, grease a mini muffin pan. Roll out your puff pastry sheet, and using a 2-inch round cookie cutter, cut out circles in the pastry dough, and press them into your mini muffin tins. 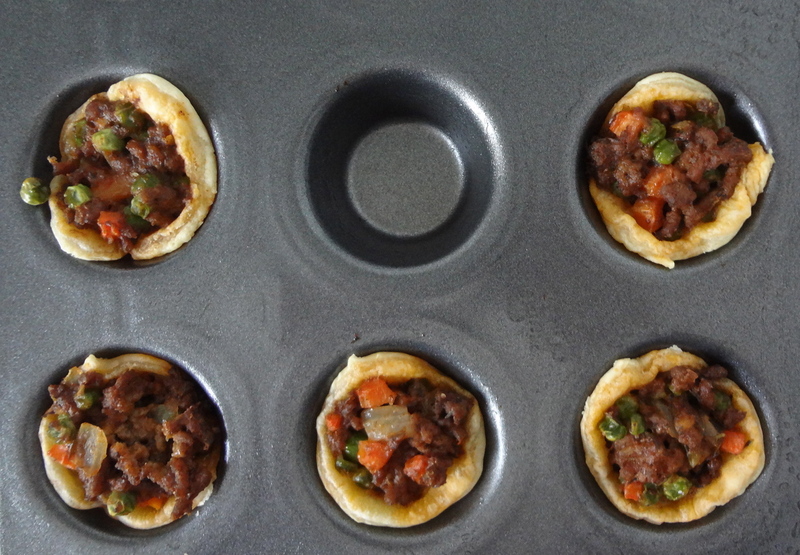 Fill each tin with a small scoop of beef and bake until the puff pastry is golden brown, about 15 minutes. 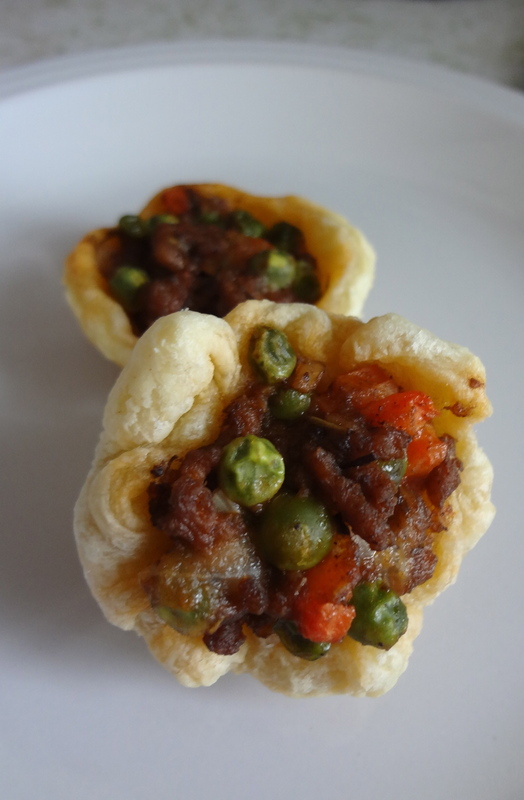 This entry was posted in Uncategorized and tagged appetizers, beef pastry, mini beef pies, mini pasties, Party Food, Sherlock appetizers, Sherlock party foods by theculinarycapers. Bookmark the permalink.